WALTHAM, MA – May 5, 2014 – Global payment gateway BlueSnap today released new shopping cart “plugins” for Magento and PrestaShop that enable merchants with these ecommerce platforms to instantly expand sales into 180 countries with localized shopping experiences. The simple integration requires virtually no development work and is pre- configured with proprietary BlueSnap tools that help merchants convert more shoppers into buyers. The PrestaShop and Magento plugins make it easier than ever to sell cross-border and optimize sales in each foreign market. While most eCommerce integrations require many steps and custom development work, BlueSnap’s integration requires only a few. 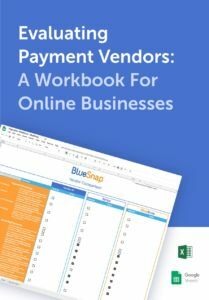 Merchants can also opt to use BlueSnap’s hosted checkout pages, which come pre-configured with dynamically localized pages, A/B testing capabilities and PCI compliance. Overall, the BlueSnap integrations eliminate all heavy development and let merchants sell online immediately. The integration enables merchants to offer a localized shopping experience with a choice of 29 languages, 60 currencies and 110 payment types. BlueSnap automatically offers a localized experience that corresponds to the shopper’s geographical location. This provides a competitive advantage during global expansion as shoppers are more likely to complete a purchase when they are presented with their preferred payment method, language and currency. This localized shopper experience is proven to increase sales conversions. Globally, online selling now accounts for 8% of total commerce with huge growth expectations, particular in developing markets. In some countries, a single indigenous payment method may be used for 40% to 80% of all online transactions. Thus, localized payment types are extremely important in foreign markets, and BlueSnap provides the technological and financial infrastructure to immediately leverage such payment methods. supporting shoppers in 180 countries with localization in 29 languages, 60 currencies and 110 payment types, BlueSnap is fulfilling its promise to convert more shoppers to buyers worldwide. Learn more at www.bluesnap.com.